The raised front panels and warm wood tone of this traditional style fit right into a cozy cottage kitchen or a rustic home. 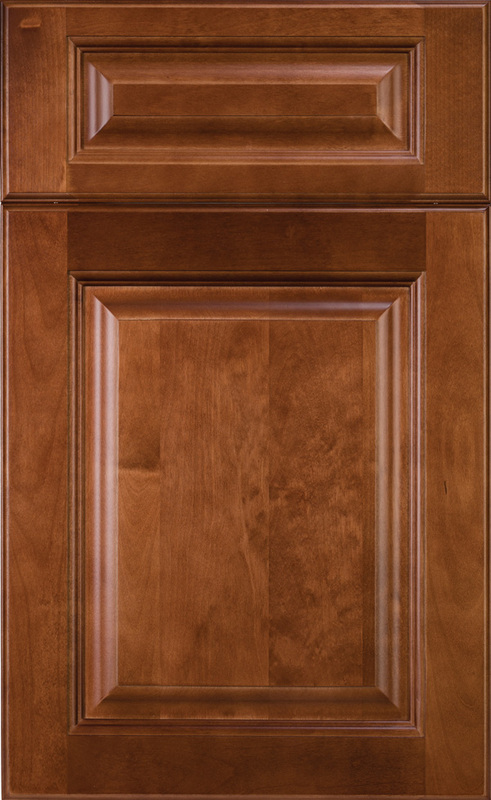 Its stately lines are also perfectly suited to the timeless look of a classic kitchen. Crafted from solid birch, this cabinetry can be embellished with optional detailed carvings for an elegant flourish.